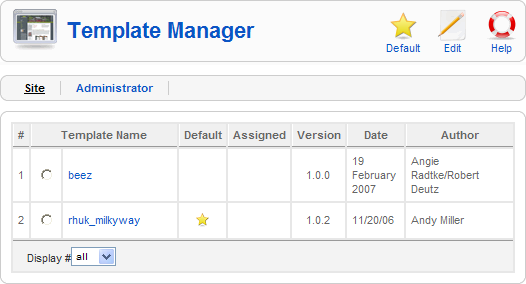 Select Extensions → Template Manager from the drop-down menu in the back-end of your Joomla! installation. Edit. Select one item and click on this button to open it in edit mode. If you have more than one item selected (where applicable), the first item will be opened. You can also open an item for editing by clicking on its Title or Name. See the section below called Template - Edit for information on the edit screen. Edit HTML. Opens the "index.php" file from the Template for editing using a simple text editor. Press Save or Apply to save any changes you make. Press Cancel to cancel any changes. 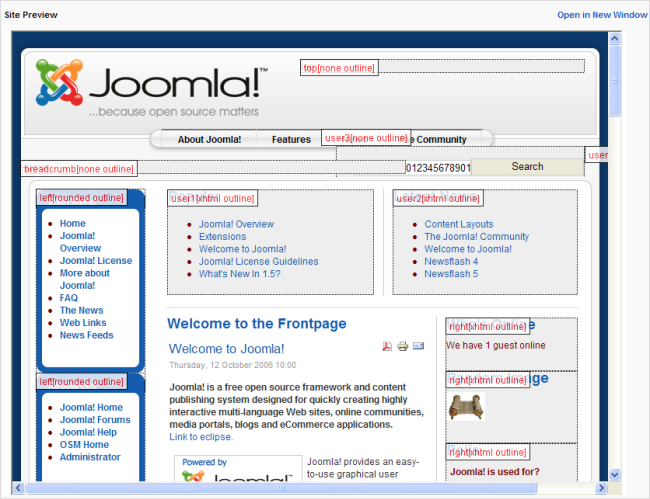 You can also edit this file outside of Joomla! with any HTML editor. Note that the full name of this file is displayed above the edit window. This page was last modified on 27 April 2010, at 11:56.